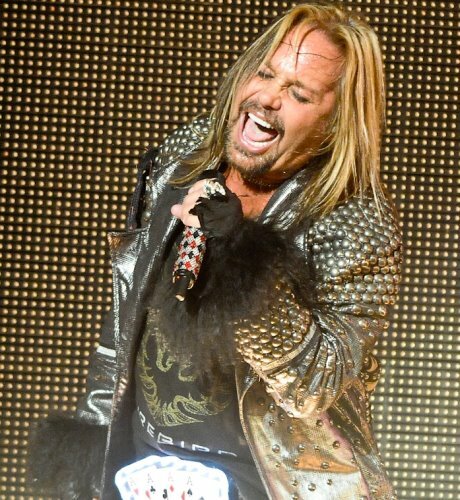 Motley Crue frontman Vince Neil has reportedly signed on to be a contestant on NBC-TV’s The Celebrity Apprentice when it returns this fall. According to TMZ, Neil is the first celebrity confirmed for the new season, which will mark Arnold Schwarzenegger’s debut as host since the network parted ways with Donald Trump last June. The singer joins a lengthy list of rockers who have appeared on the reality series, including Dee Snider, Gene Simmons, Meat Loaf, Mark McGrath and season 3 winner Bret Michaels. Motley Crue wrapped up their farewell tour at the Staples Center in Los Angeles on New Year’s Eve, and Neil has since been busy playing solo dates across the US. Director Christian Lamb filmed Motley Crue’s final show for release in theaters and via Pay-Per-View this spring.